Downtown Huntsville is a stellar engagement session location any time of the year, and this mid-March evening was no exception! We might have a few cold nights sneaking in here and there, but we’re hoping that spring is officially upon us. The sunshine and hints of budding trees during this session gave us all the happy feels! Stephanie and Brian’s engagement session was the perfect way to celebrate our return from maternity leave! We took a few months off to celebrate and adjust to our new adventure with Josiah – but we’re back! And boy, did it feel good. The break was refreshing, but we really missed being behind our cameras. This gorgeous session with Stephanie and Brian reminded us why we love engagement sessions so much. We had such a blast with them! It was extra special because this was the first time we met Brian. Seeing them interact together showed us how perfect they are for each other. What a blessing to find a sweet soul mate! Stephanie and Brian love the outdoors. It’s a special part of their relationship, so we found some great little spots around town that brought out the nature. We also love the significance of Stephanie’s engagement ring! This special heirloom belongs to her grandmother. What a joy it would be to see your granddaughter wearing your engagement ring – and what a sweet blessing to be a granddaughter wearing a beloved grandmother’s ring! Love woven through a family’s legacy and displayed with memories. It’s the best. We had the best time, and we hope you love Stephanie and Brian’s sweet spring engagement session as much as we do! Beautiful photography and gorgeous couple. Stunning !! You guys look great!! Beautiful pics of a beautiful couple! I adore these photographs. You have captured some adoring looks between them. Those are my favorite. It’s also fun to see Huntsville the colors of the season make a beautiful background. There are a 2 I must have how can we purchase? These are amazing!! I’m biased but cutest couple ever! Great photography! Beautiful couple and beautiful pictures!!! Great Pictures! Can’t wait for the big day. Beautiful pictures of the kindest people I know! Beautiful pictures! Can’t wait for the wedding! Absolutely gorgeous. I can’t wait for the wedding! Beautiful pictures. They look so happy! Beautiful pictures! They really capture their love for one another! What. A. Couple. Can not wait to watch them walk down the aisle! 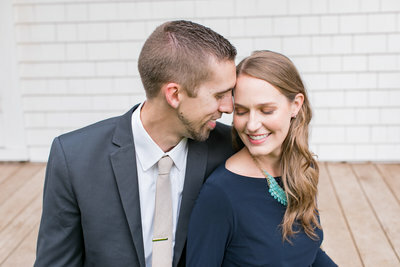 Stephanie and Brian are a beautiful couple who naturally make beautiful pictures.